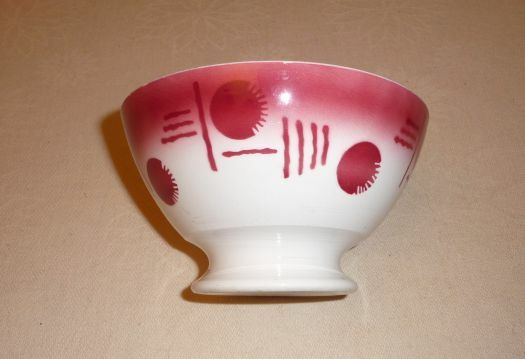 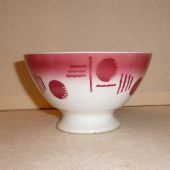 Nice bowl, with dark pink color, French manufacture of Badonviller. 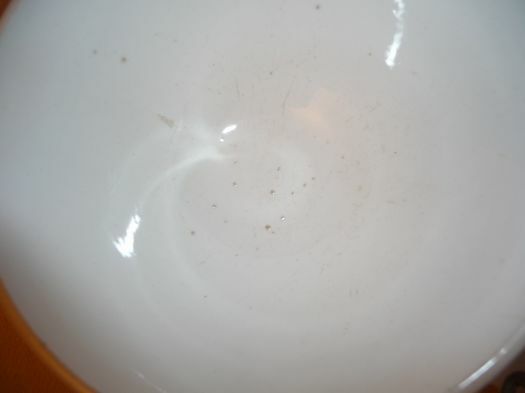 Good condition, there are some defaults of manufacture inside, please look at the last picture. 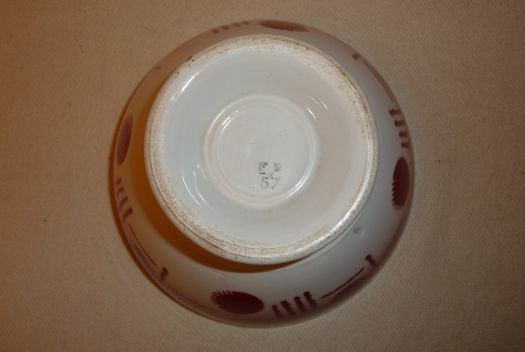 Diameter 13,9 cm ; height 8,1 cm. 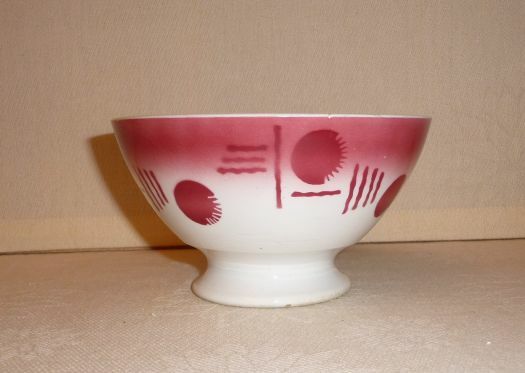 White stains have been made by flash.